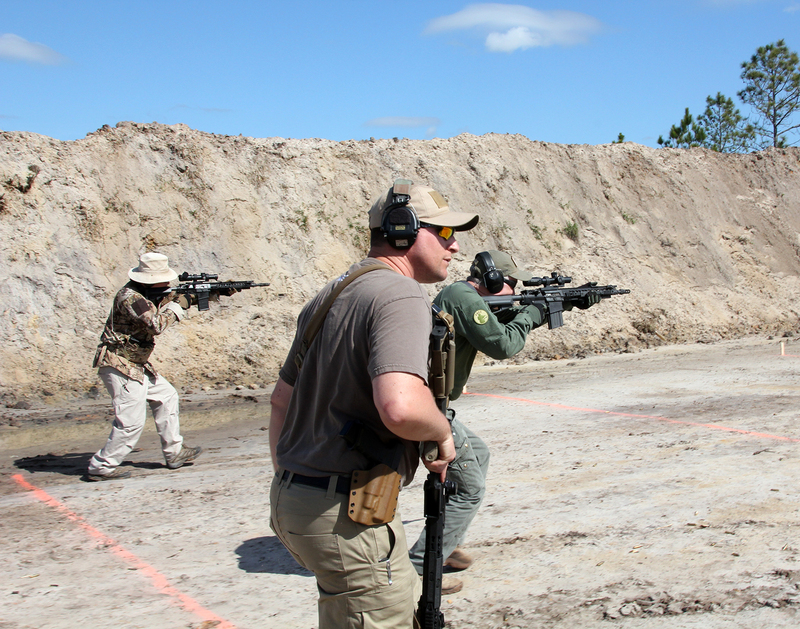 I missed the last Dual Use Carbine class Jack taught so I did not want to miss another. 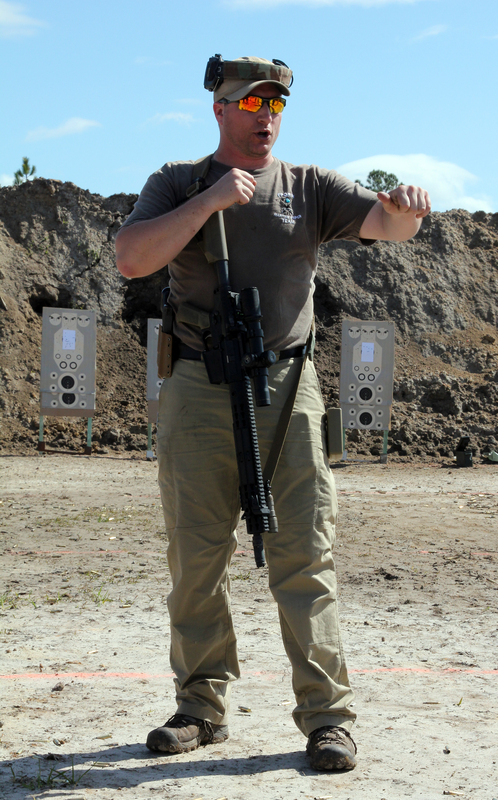 Having taken Jack's Practical Carbine Class and his "High Stress" class I knew this class was not one to miss. 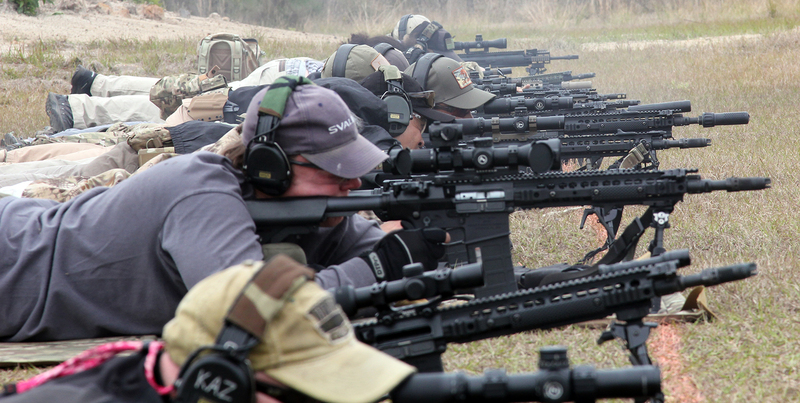 I have never taken a class exclusively devoted to a 7.62 semi-auto platform. Having a US Optics SR8c that I needed to use and review I figured this would be an excellent class to use it in. 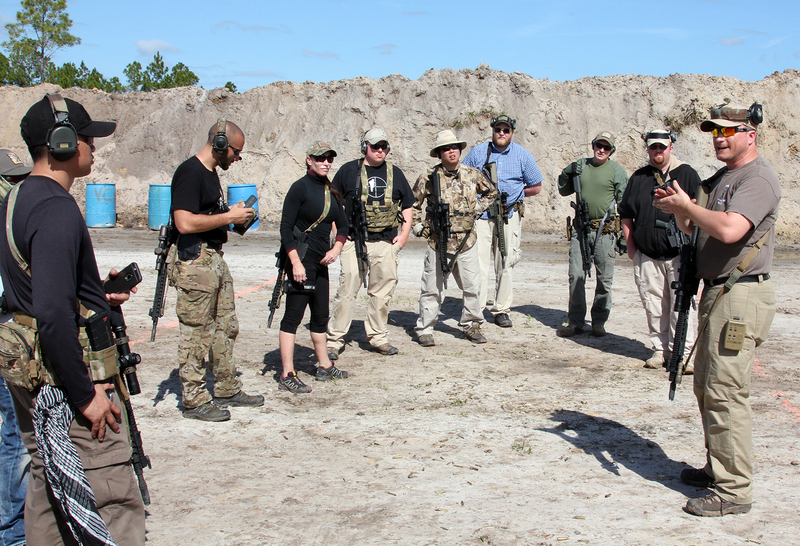 I had spoken with Jack several times about this class and he was kind enough to lend me one of his SR25's so I could participate. 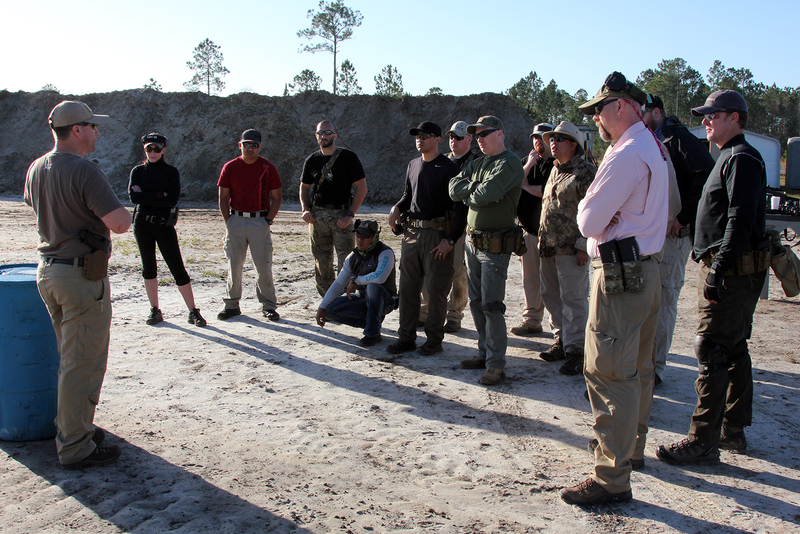 The class was just as much about precision as it was about fundamental application and practical implementation. 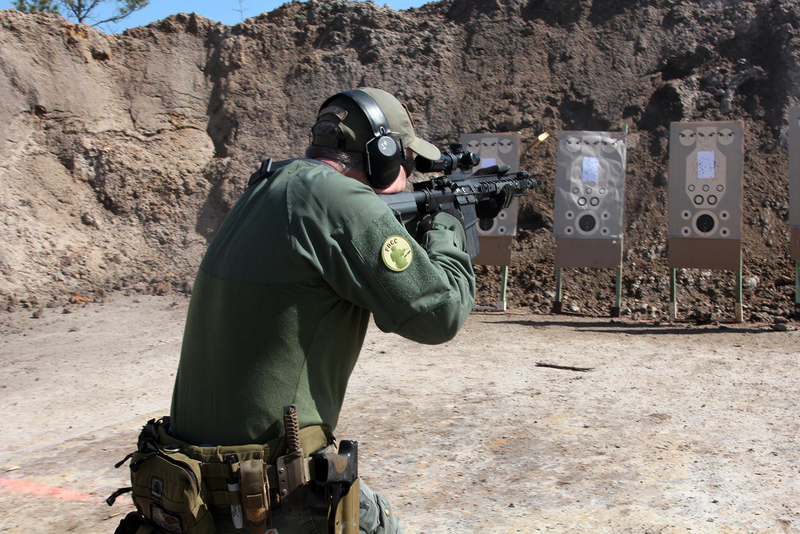 My goal for the class was to familiarize myself with the 7.62 semi-auto platform while gaining positive feedback through instruction and pushing myself into a system of shooting I am inexperienced in. Jack started off with a short talk about range rules, safety precautions and guidelines for the class, his expectations and what our expectations from him should be. He introduced his AI, Steve and his background (competition distance shooting with the 7.62 platform). 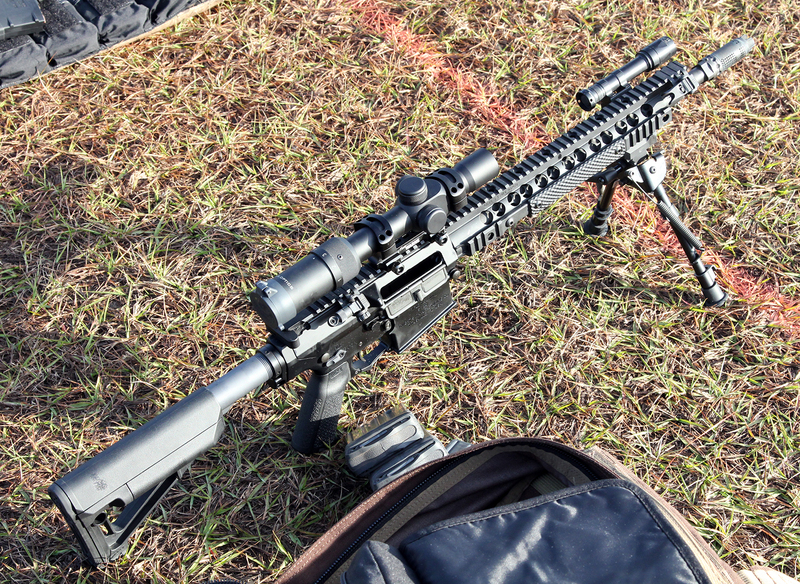 He quickly got into a detailed explanation of what a "zero" is for a rifle and how it will shift with variables, some you can control and some you cannot. 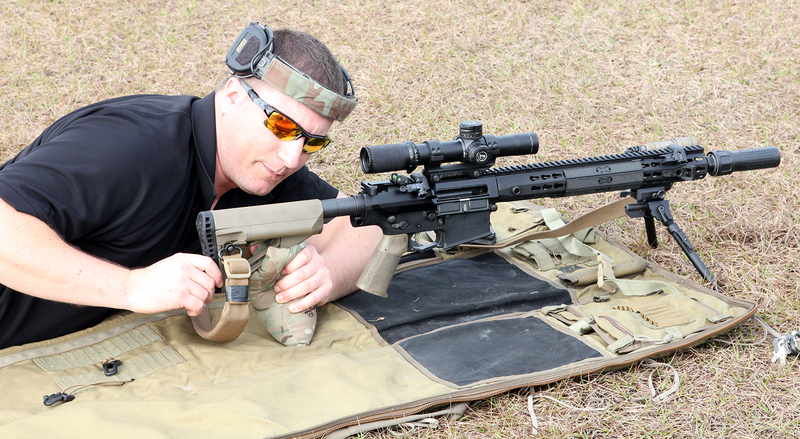 Jack explained how every precision rifle should have a data book associated with it and how every rifle's zero is not set in stone as many believe it is. Everything has to be exactly the same every time you take a shot in order to get proper data to feed into your book. 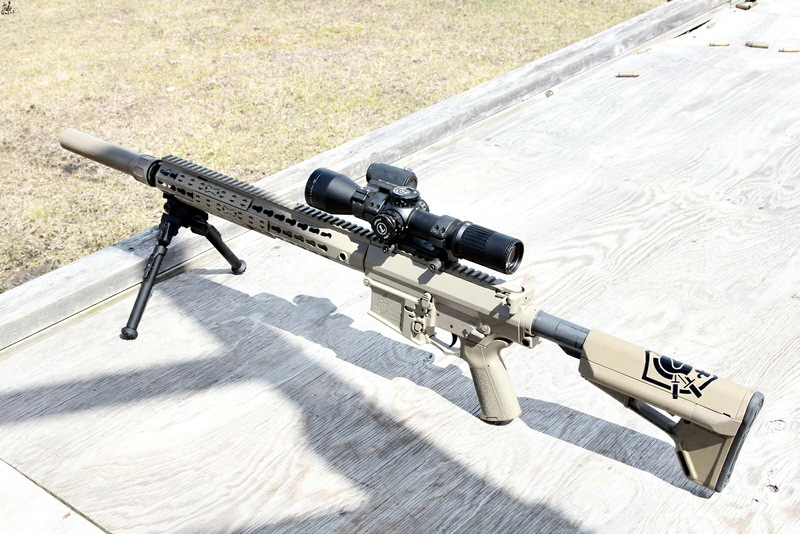 If something is off then your data is off and you will wonder why the rifle is doing what it is doing. 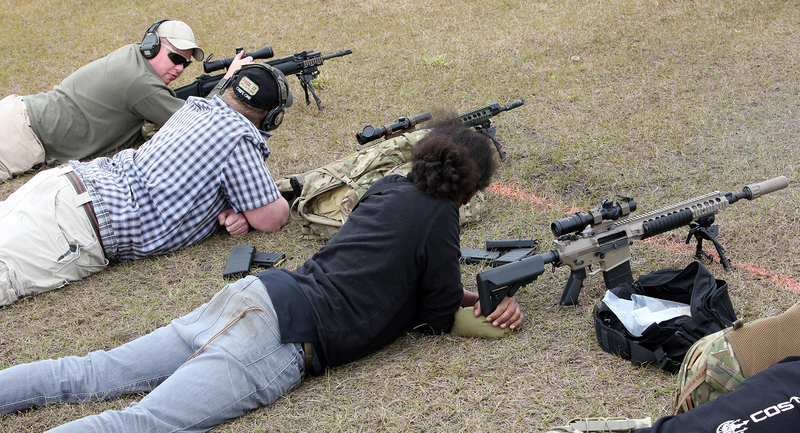 Jack explained proper prone position procedure and proper rifle configuration for precision work, he explained trigger pull, precision bag on stock placement (or using your other hand like I did for expedited/hasty prone position). 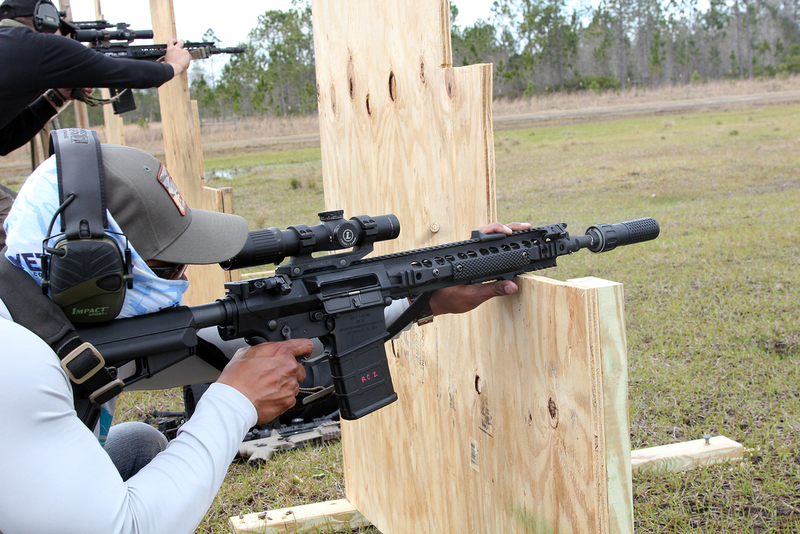 Jack explained the importance of head position and parallax settings in order to properly set the rifle up for distance shooting. 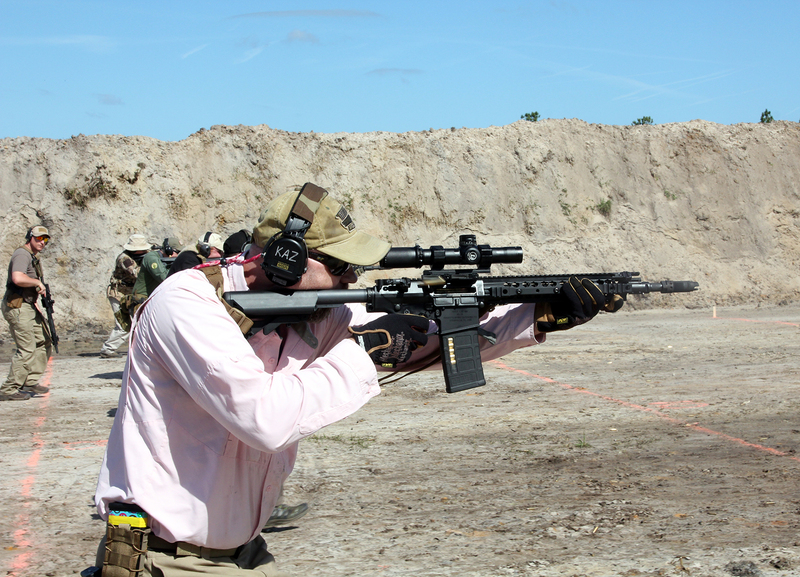 Jack went over rifle configuration and explained the role of bipods. Afterwards we quickly modified our setups as needed and began to setup for a 100m zero confirmation. 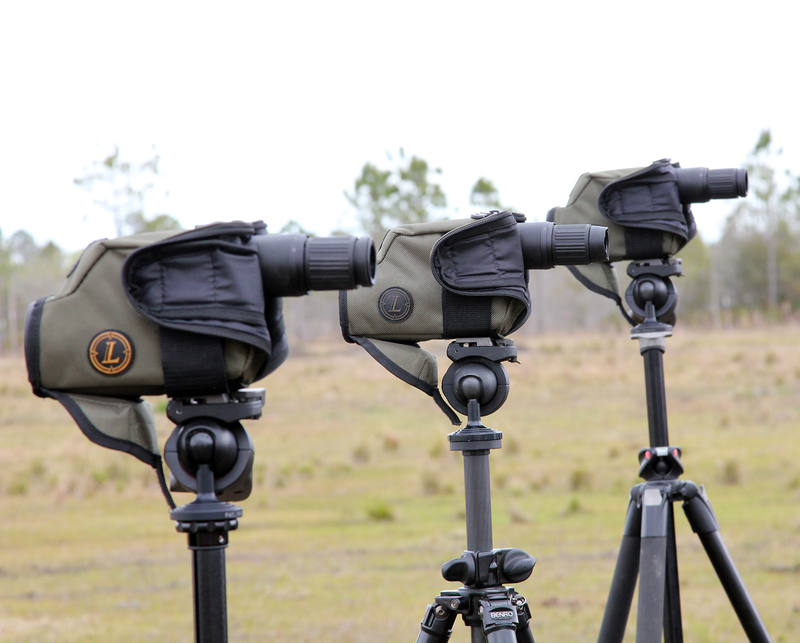 We setup a bunch of F2S Consulting branded CT-4 targets and began confirming zero. We got up and checked out our work to see what adjustments needed to be made. During that time a rifle had issues and Jack had to put some FireClean on it since these rifles like to be wet to run well. We continued to confirm zero's in order to work out whatever issues came up until we got it consistent enough which would allow us to move on to the next level of instruction. Expectantly, this took most of the morning hours and when we moved on to a longer range it was well into midday. 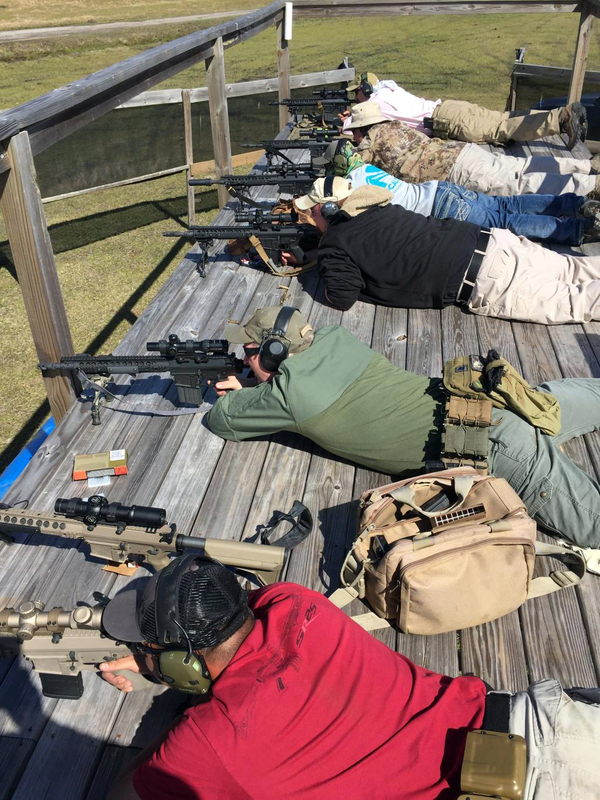 While transitioning to a secondary, longer distance range, we quickly stuffed ourselves with food as Jack went over information relating to reticles and how to use them over distance. 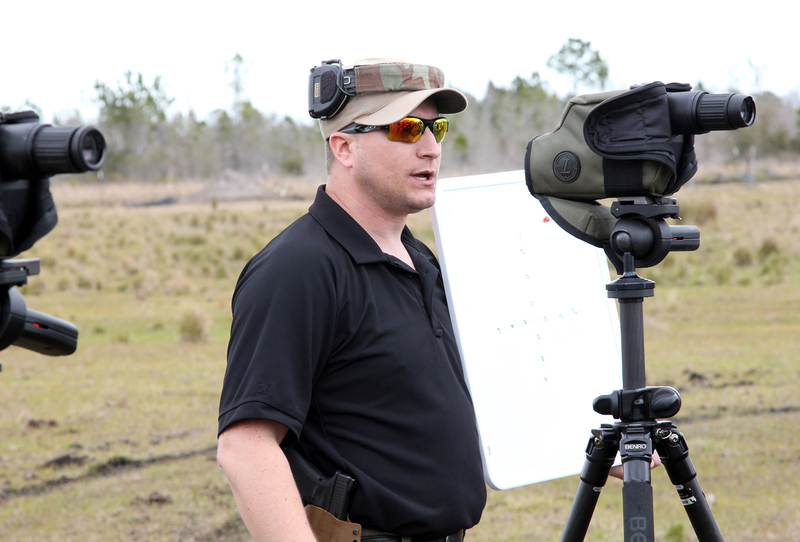 He explained what a spotter/shooter relationship needs to be and he explained how to use a spotting scope properly with regard to providing good information to the shooter. Jack talked about vapor trail "trace," he explained MIL vs MOA, talked about spin drift, reticle choice (specifically referring to the H27D and CMRW reticles, as well as others), he also explained the use of laser range meters (for distance) and wind meters in relation on how to properly dial in your optic based on environmental factors. Huge thanks to Leupold for supplying the class with their incredibly awesome spotting scopes with reticles built into the glass. We broke up into two teams, one team went up and shot steel targets at around 550m for prone with a spotter and at 150m from the barricades. 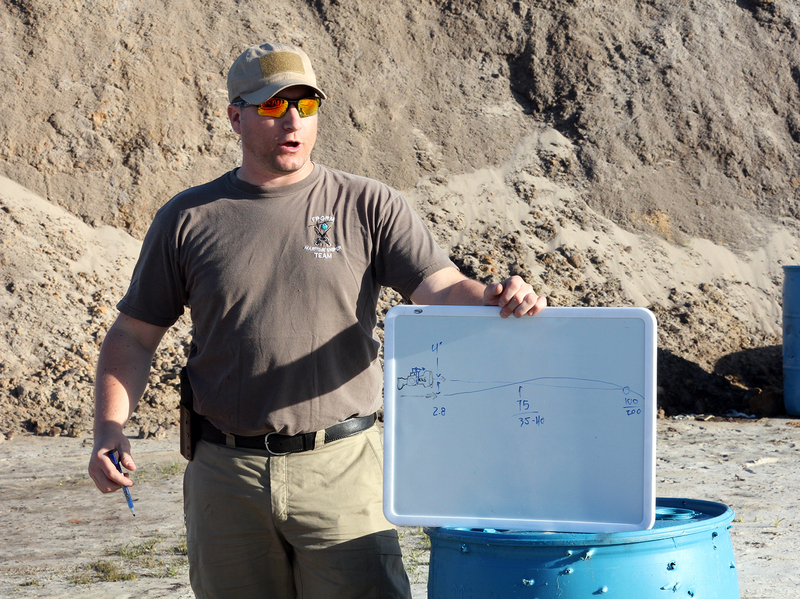 Jack explained different barricade positions of fire, application and preference depending on position. He explained rifle position on barricades in relation to stance and application. 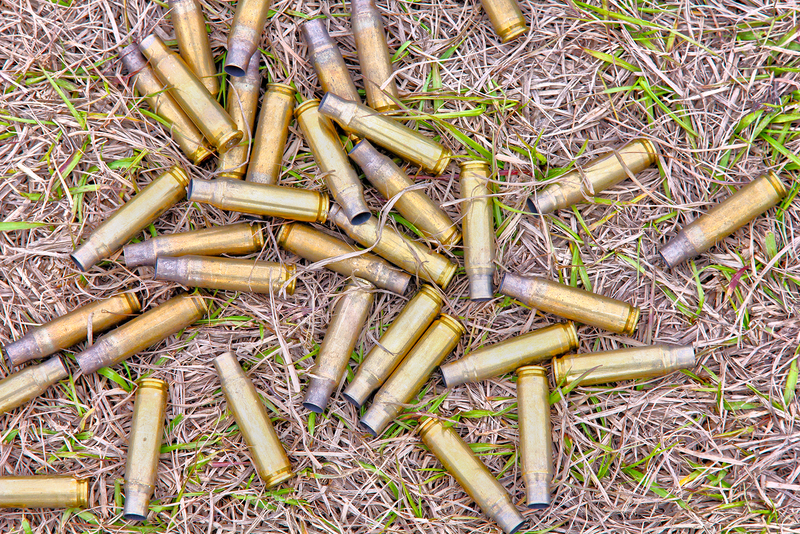 We shot a man-size torso steel at 150m, as well as out to 550m from the barricade. 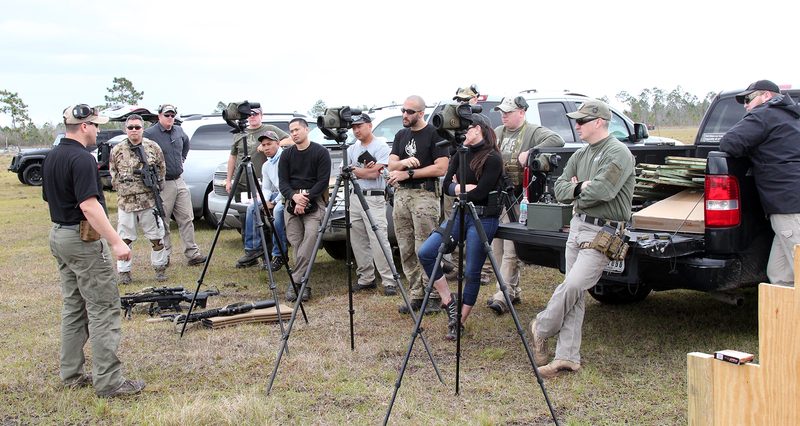 Steve was up top with the guys running prone explaining how to use the Leupold spotting scopes and how to give proper calls to the shooter, everyone took turns shooting the steel out to 550m and calling shots for the shooters. 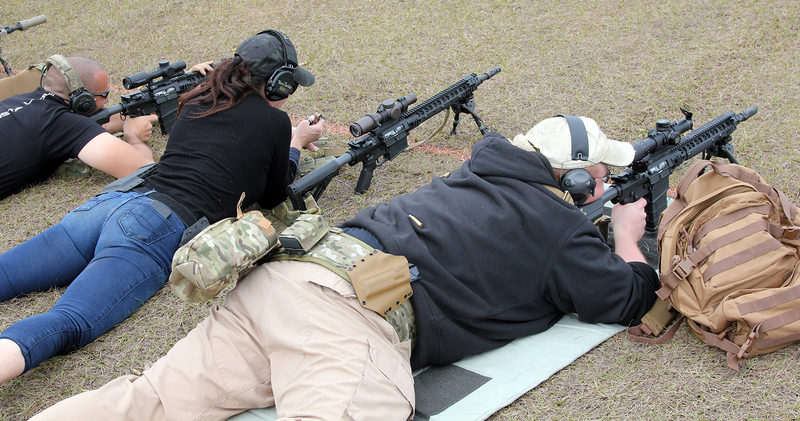 We did this until everyone felt comfortable and then we moved back over to the 100m range. 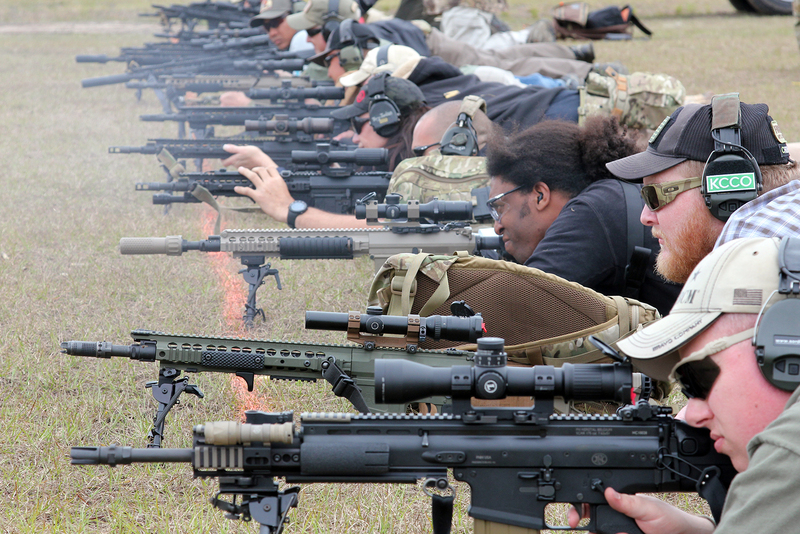 We let our rifles cool off and Jack explained how the zero of the rifle may shift. We did a precision shooting drill changing between match ammo and "blaster" ammo to see the shift of the zero from the morning. This is very good data to know for a precision rifle since you will be able to tell what needs to be done when with what variables being present. We saw shifts everywhere from left to right, some groups got bigger some groups got tighter. 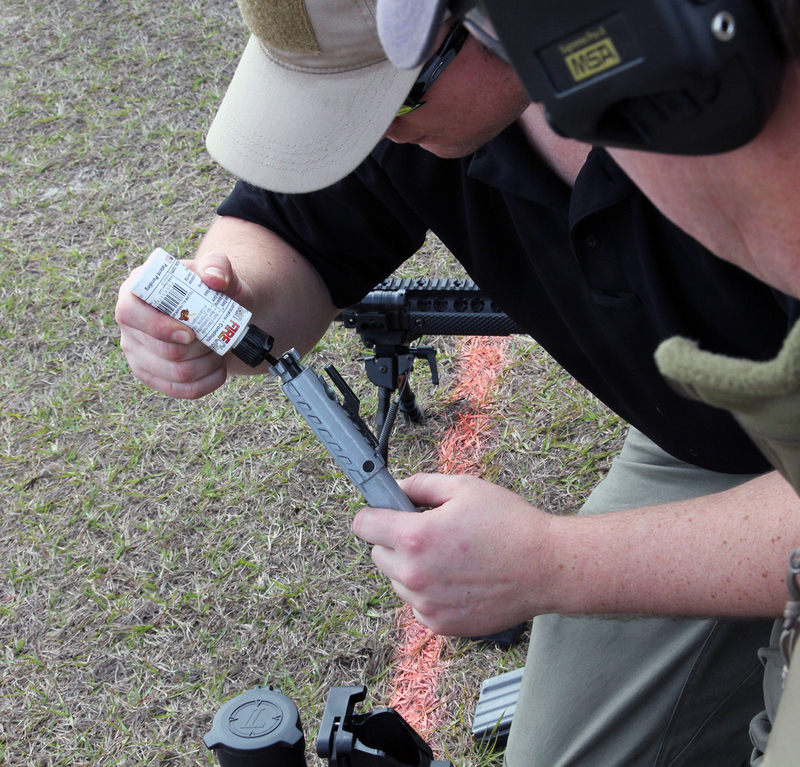 We ran various drills of precision shooting with match and "blaster" ammo specifically for the purpose of collecting data and to see how each of our rifles performed after heating up and cooling down. 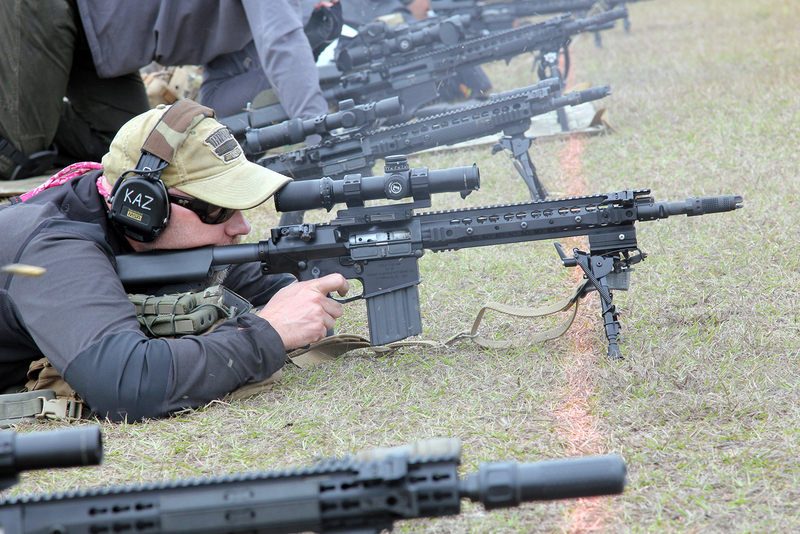 We took the time to determine exactly where the zero was and what we needed to specifically do in order to get the result we desire with the precision rifles. We spoke among each other in regards to the drills and Jack was available to expertly answer any and all questions we had concerning what we were doing. We finished the day off with an intro into short range (25m and in) standing freestyle shooting. 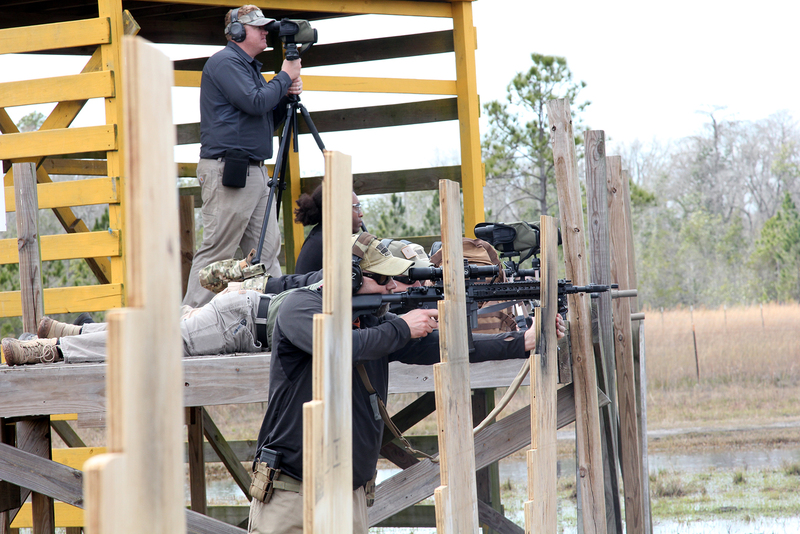 We did strings of fire and Jack explained hold over at close range as it relates to the 7.62 platform we were using. At this point we were all pretty tired and the sun was getting ready to set so we called it a day after this drill. 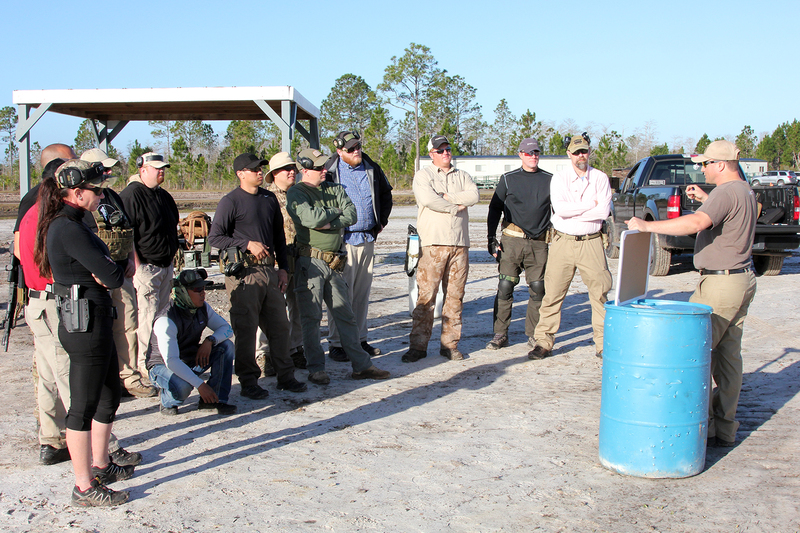 We started off day 2 with an explanation of close range hits, getting head shots, focusing on small sized targets. 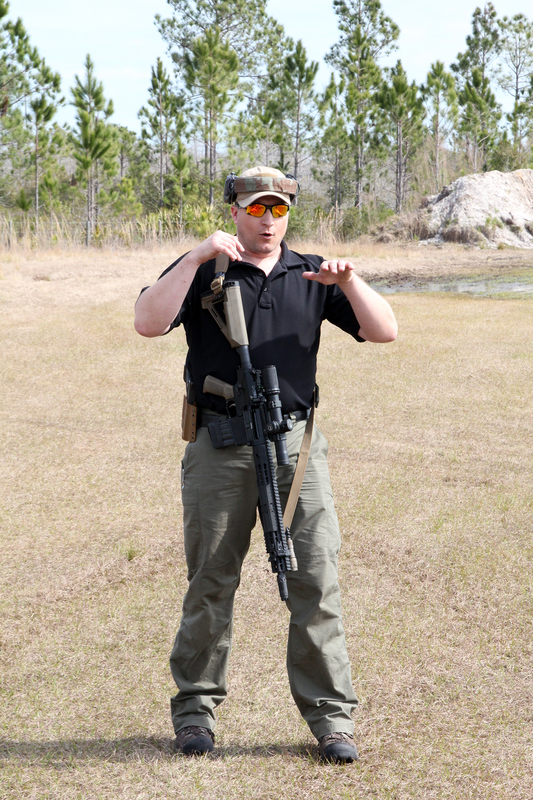 Jack explained 100m zero and how it applies to close range shooting, he explained hold over for the 5-25 distance and hold over for further out and how much difference it makes on bullet impact. 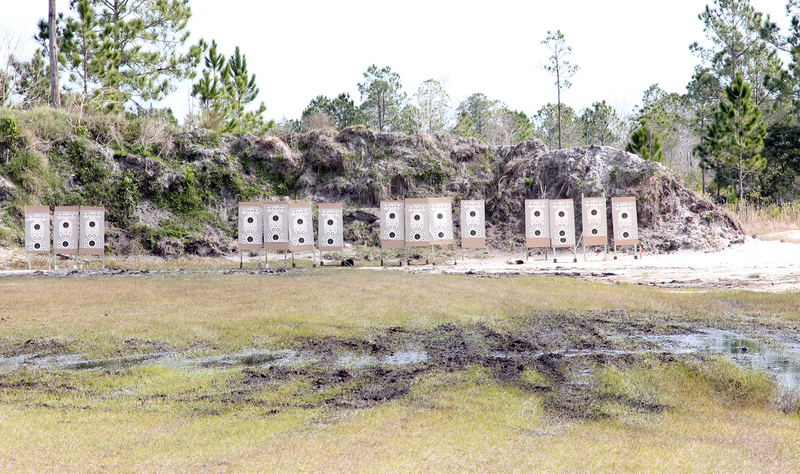 We put up targets, loaded our magazines and split up into two groups. 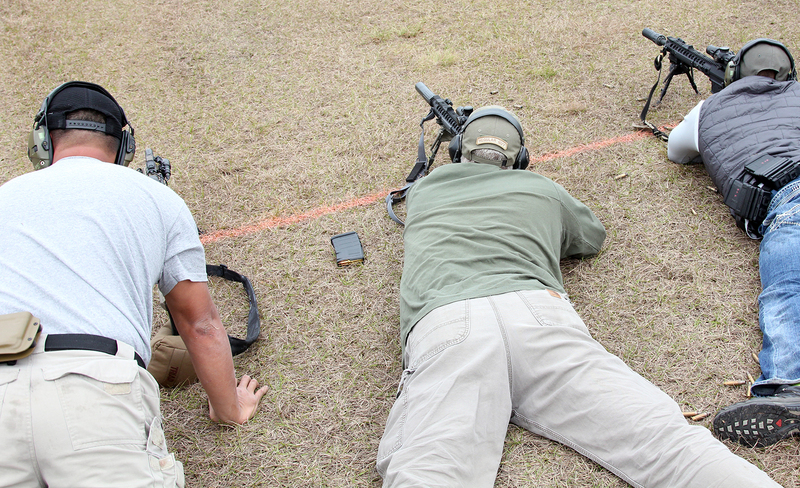 We did a few "up" drills, torso to head, head to torso and other various drill relating to getting used to the hold over on our rifles. 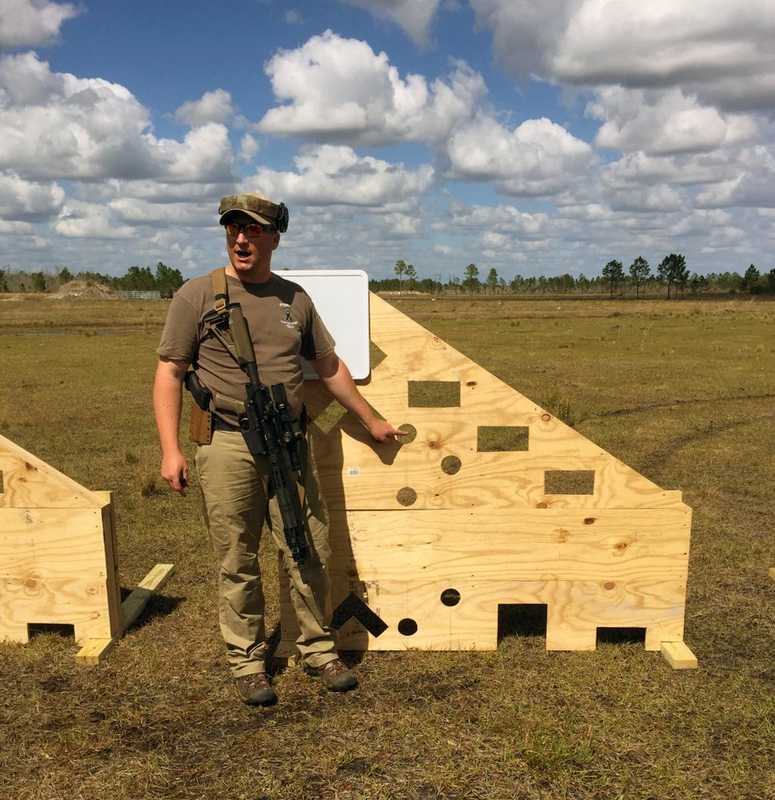 Jack set this up specifically so that when we went into the shooting on the move drills that we did not waste our time (or ammo) trying to get our holdover right instead of focusing on our targets. 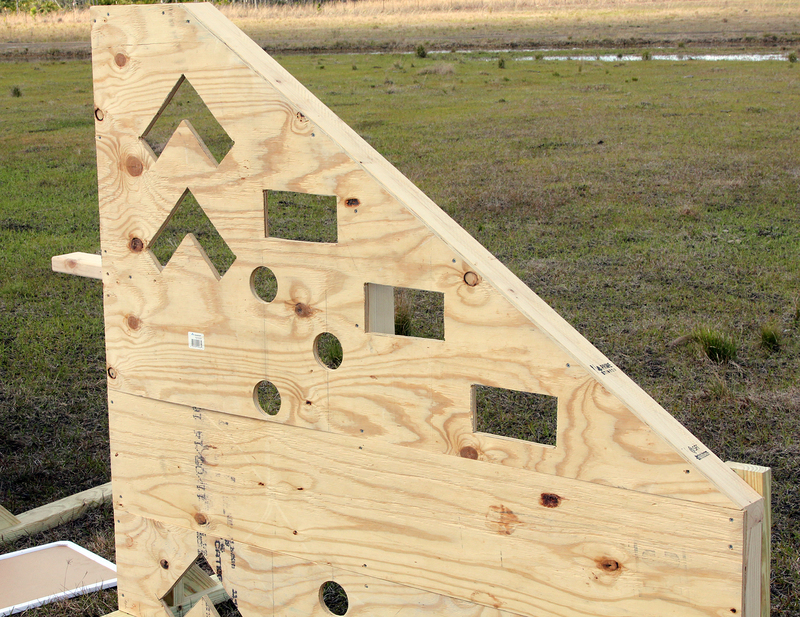 We used the same F2S Consulting CT-4 targets for this portion as well, they worked really well and gave a lot of "bang for buck" as far as targets go. 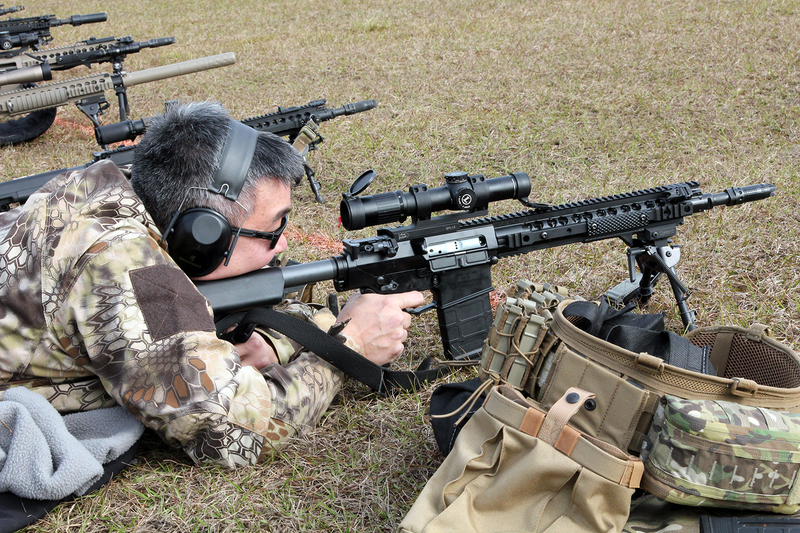 We moved on to the highlight of the close range shooting section, in my opinion the "bread and butter" of the close range part of the dual purpose of a 7.62 rifle. Jack made sure to watch each group as they went so that everyone was safe and did not move too far ahead or behind accidentally causing a safety hazard. The movement portion was split up into several drills and movement speeds. Jack took the time, when needed and at the end of the moving / close range drills, to explain the need, application and need for implementation of the platform respective to the drills we ran. Jack, having an excellent and experienced understanding of the concepts of such implementation fielded all questions any students had. 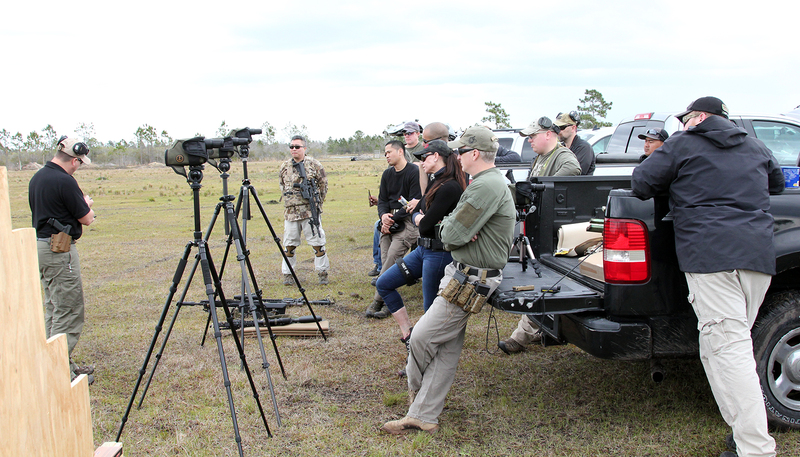 We wrapped up and moved on to a small setup / break for lunch (not really) as well as a Knights product line showcase as it relates to precision shooting and the SR25 platform. 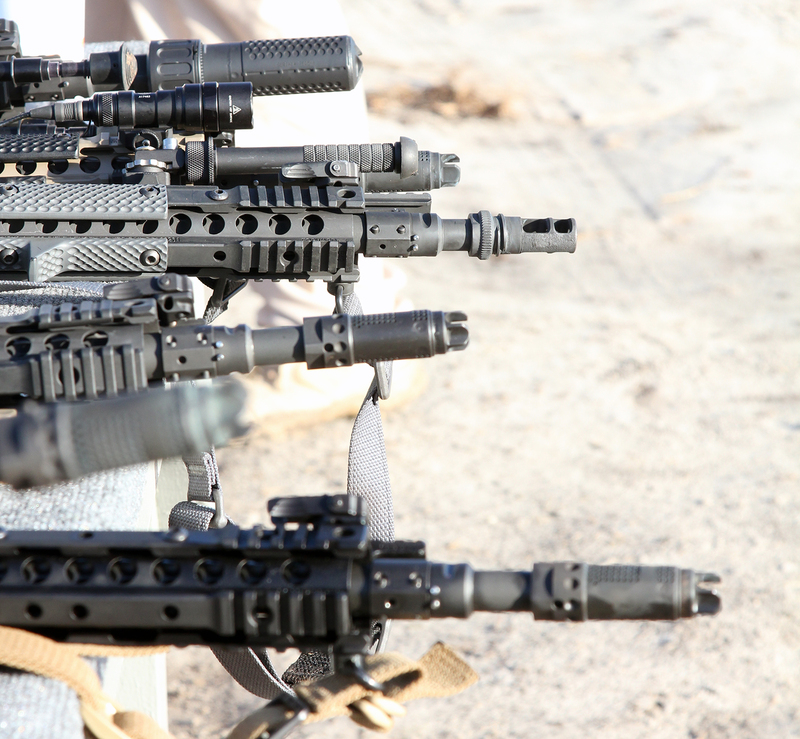 Other rifles that were showcased were various versions of the SR25 including some CSASS awesomeness. 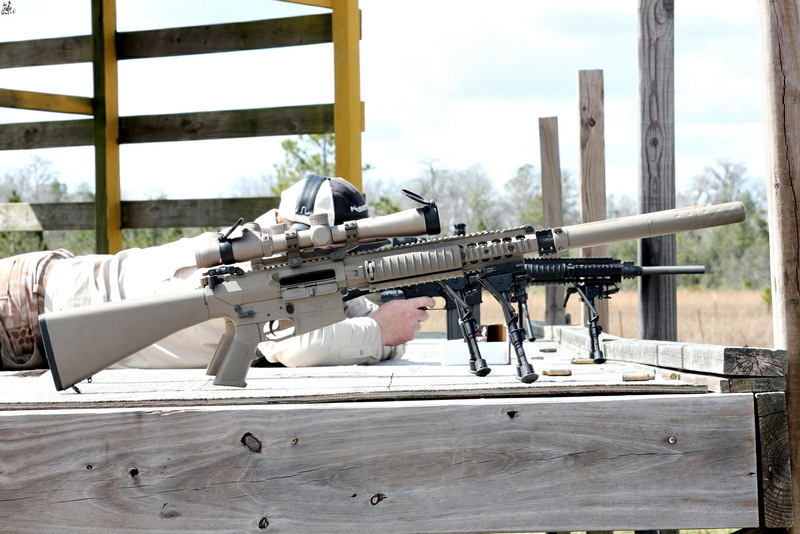 We were able to shoot them at 150m and 550m, big thanks to KAC for letting us see what they have to offer. Then we moved onto more barricade work. 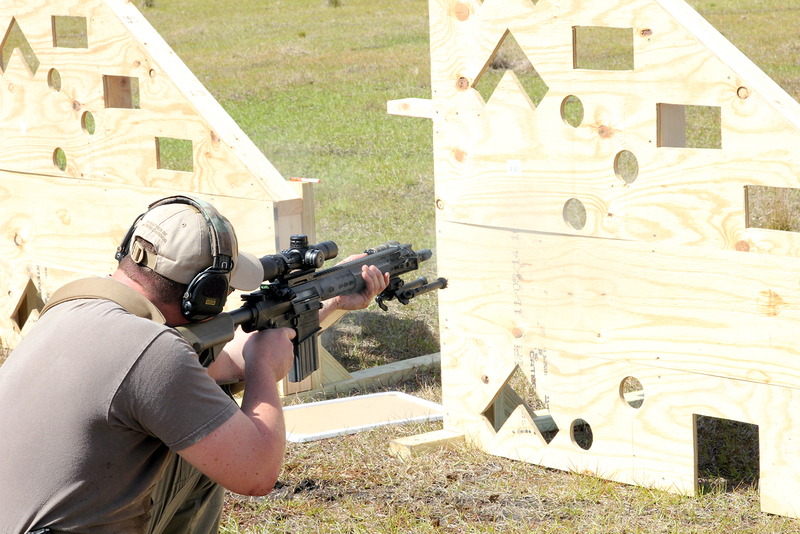 Jack explained all the various cuts in barricade and what they represent, he showed us how to shoot through them and then we go to shooting through the various holes at 150m and 550m. 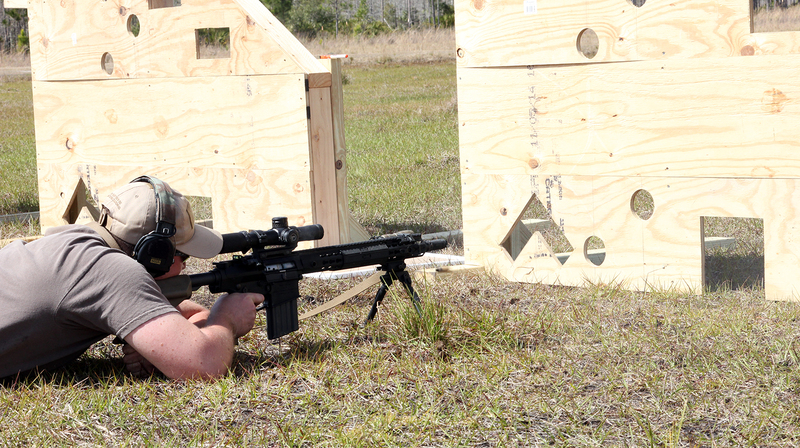 Jack went on to show us how to shoot through the small holes, he referred to them as "known target area" shooting. After we watched him get solid hits and after he explained the proper technique to use some students took a few shots. 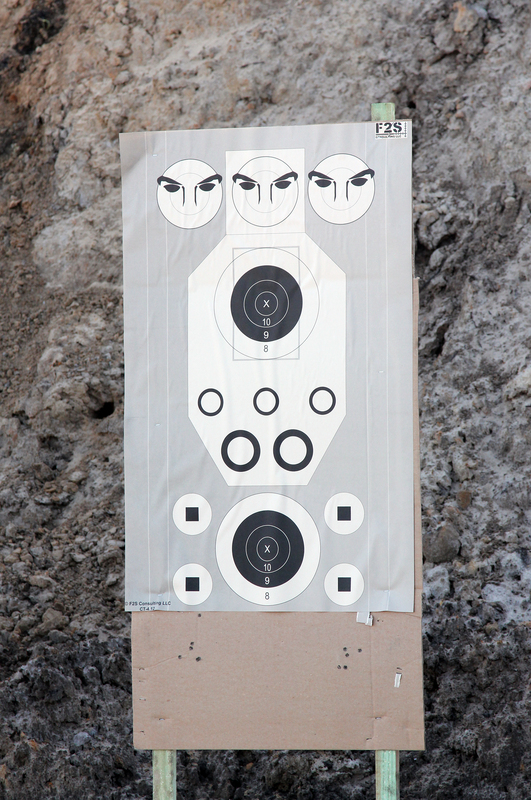 We moved onto shooting out to 1000m (roughly) at a steel target. Jack and Steve spotted for us and we took guided shots at the steel. At this point the optics were the driving force at getting proper hits as well as the spotters' instructions for reticle offset. 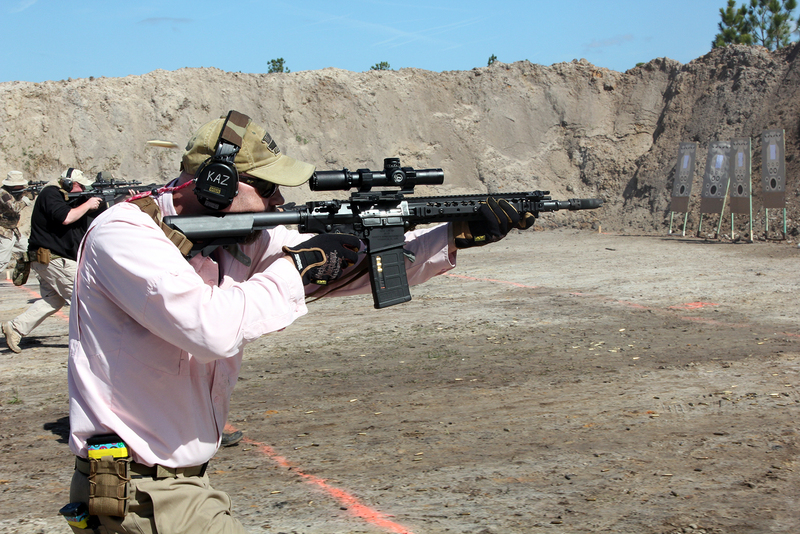 After the precision distance shooting section we went back to the 100m range and setup for F2S's signature drill. I had to leave due to an earlier planned flight (poor planning on my end) but I heard the drill was received very well by the students and most finished well. So technically this is a three day class, the first day was a tour of the KAC (Knight's Armament) facility as well as their tank and firearms museum. 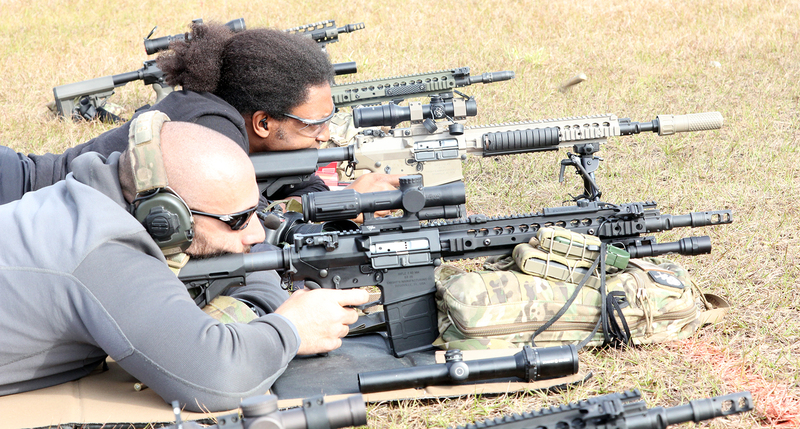 Jack's Dual Carbine class is definitely one that I will remember for a long time. He explained very clearly and in immense detail how to shoot with precision based on your platform. Jack said in this class that this is a primer course that would / should be two weeks long to truly get all the information and practical application knowledge installed into the students. I completely agree with this since there was so much information presented that the students I talked to said they could have used some material for reference. 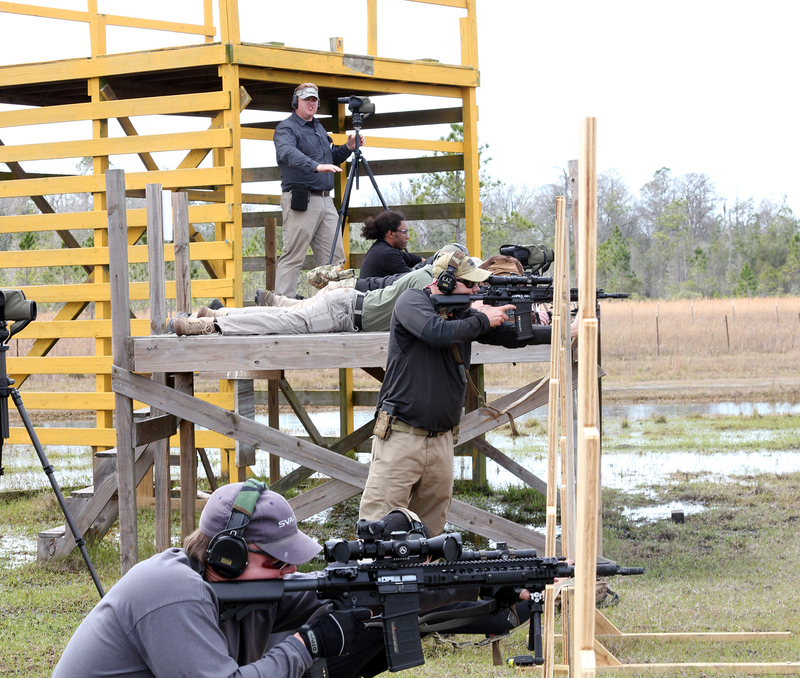 This class was specifically designed for those looking to go from not knowing how to use a 7.62 semi-auto platform to being able to effectively engage targets at close range as well as medium range while utilizing the full potential of the platform and the optic system brought to the fight. I will say that having taken this class and been exposed to Jack's teaching style before, he truly understands how to install information and knowledge without wasting time. Steve was very effective as an AI. His wide knowledge base showed through his detailed explinations. 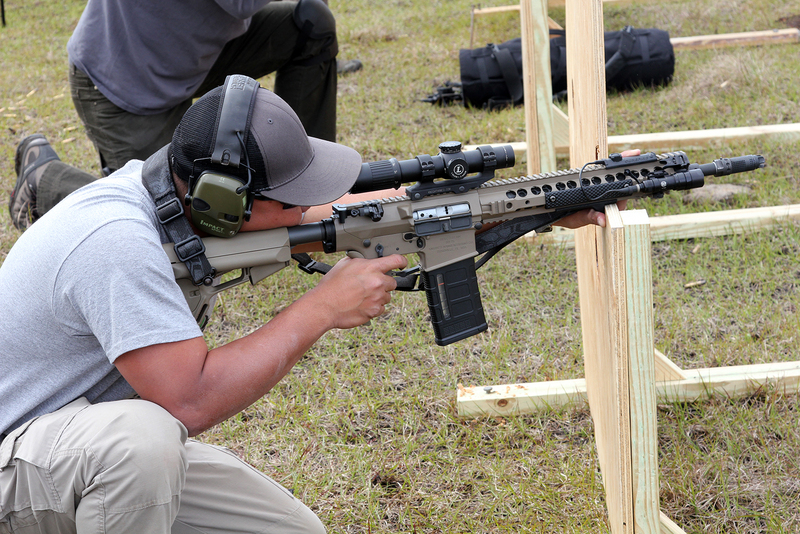 If you are looking for a 7.62 semi-auto class that will teach you more than just the basics, this is it. Jack did an awesome job of splitting the information up between competition and LE applications, covering all his bases. Highly recommended class. 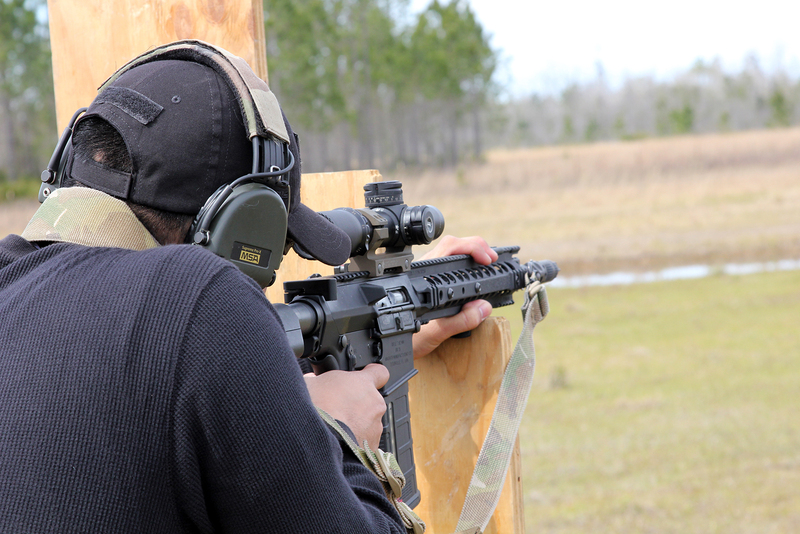 Thanks to those who I cited for taking photos (links to instagram and ar15.com provided).